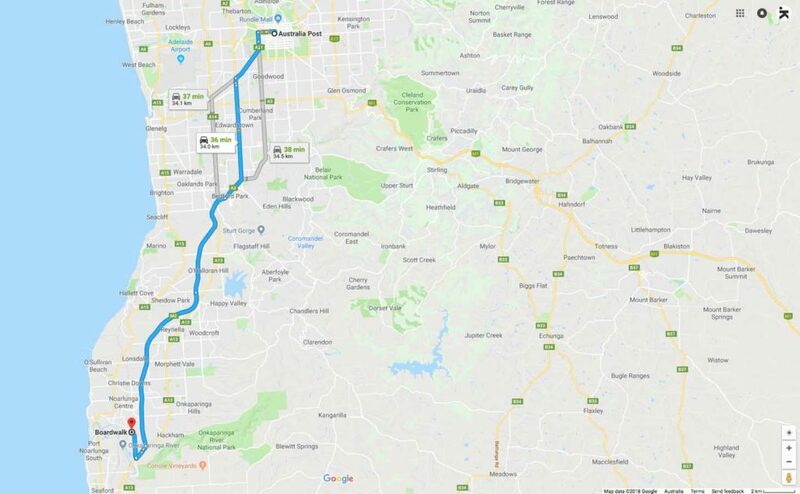 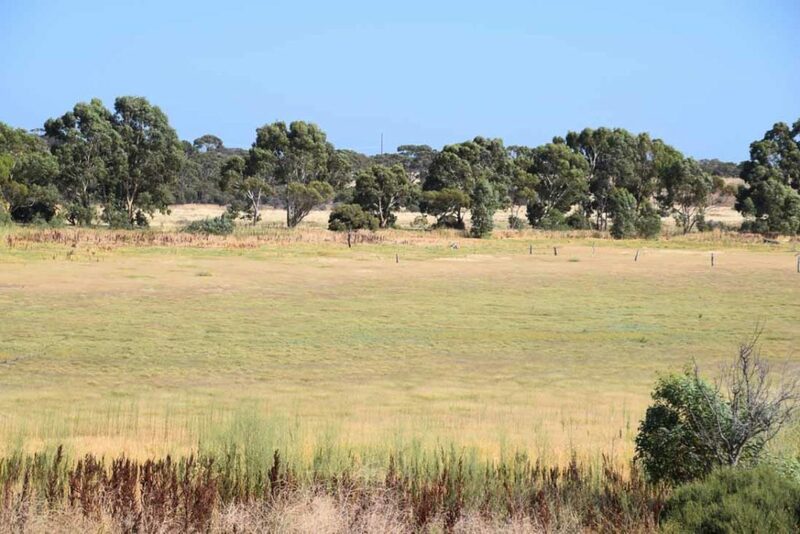 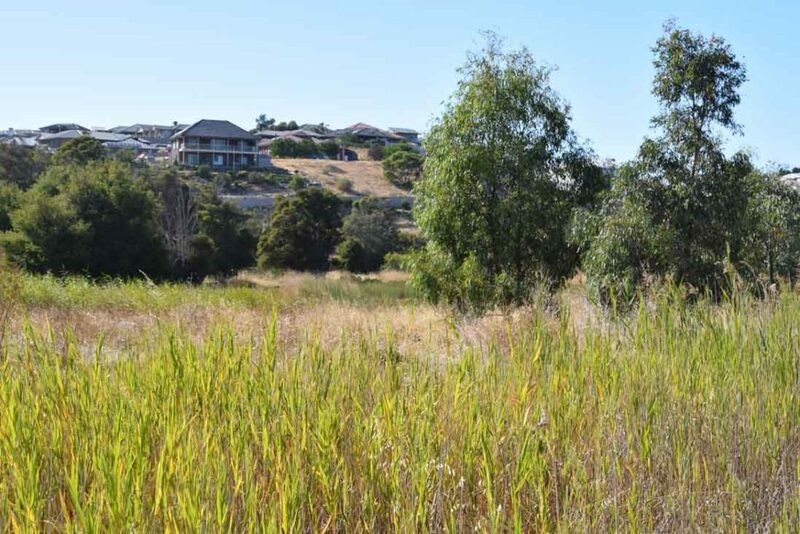 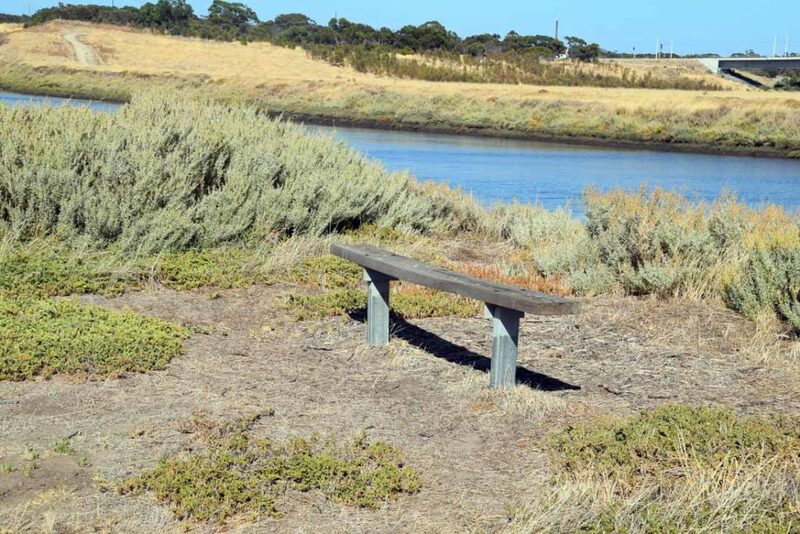 Another shortish walk on the fringes of the outer Adelaide urban area and includes native bushland, wetlands, the Onkaparinga River, as views across the nearby urban areas. 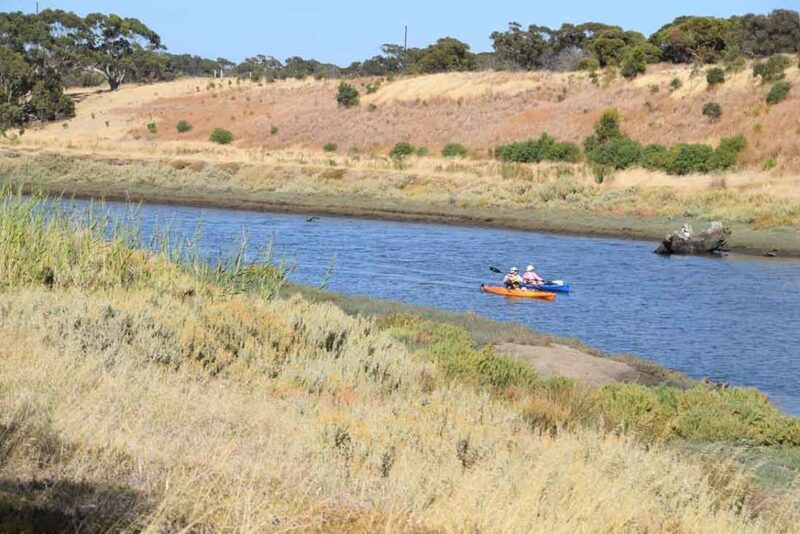 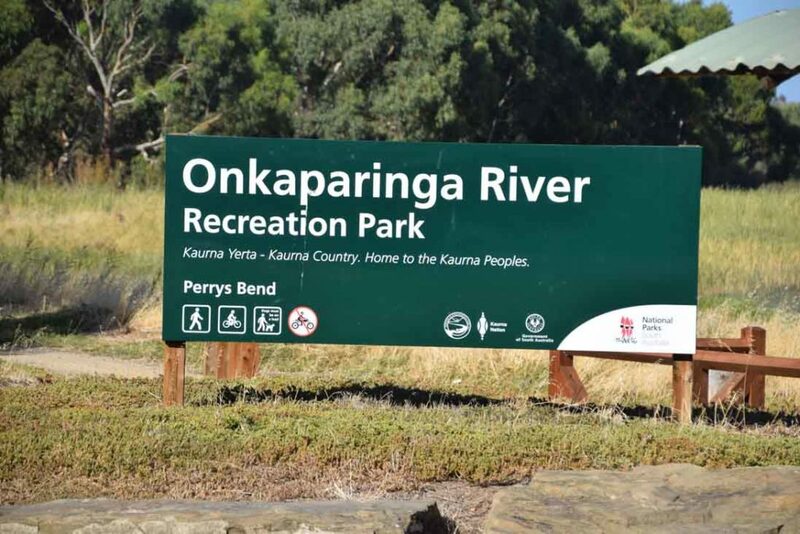 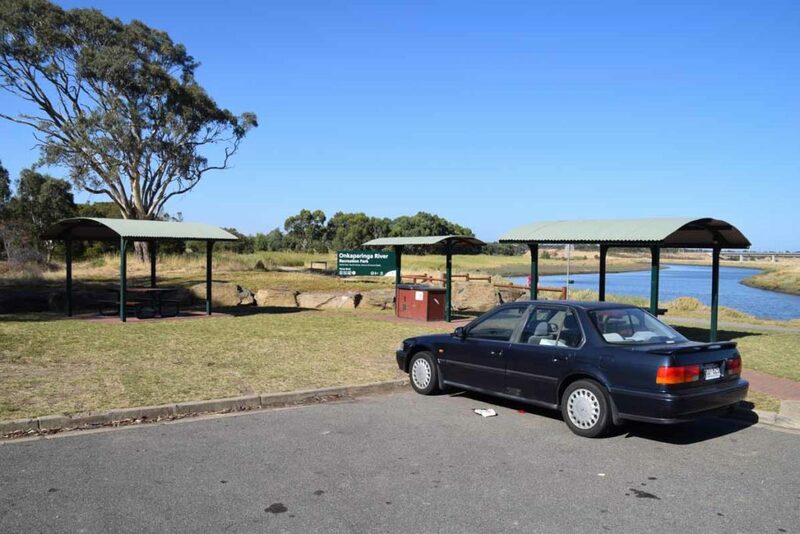 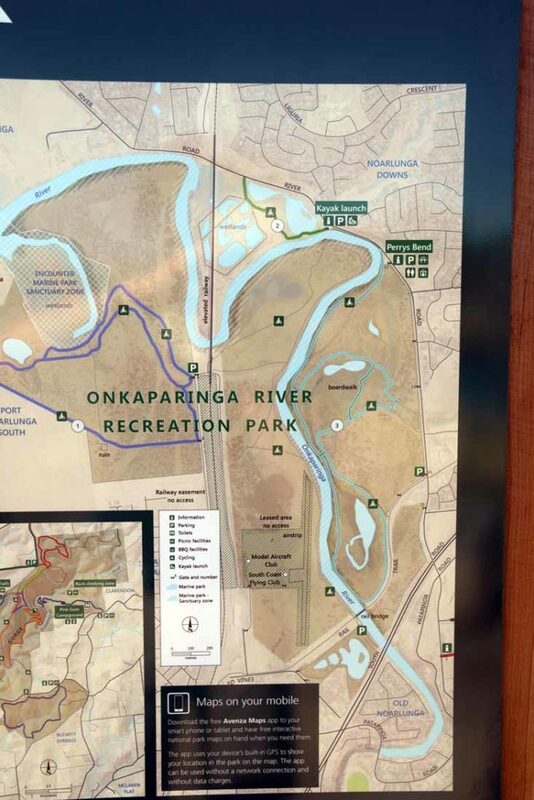 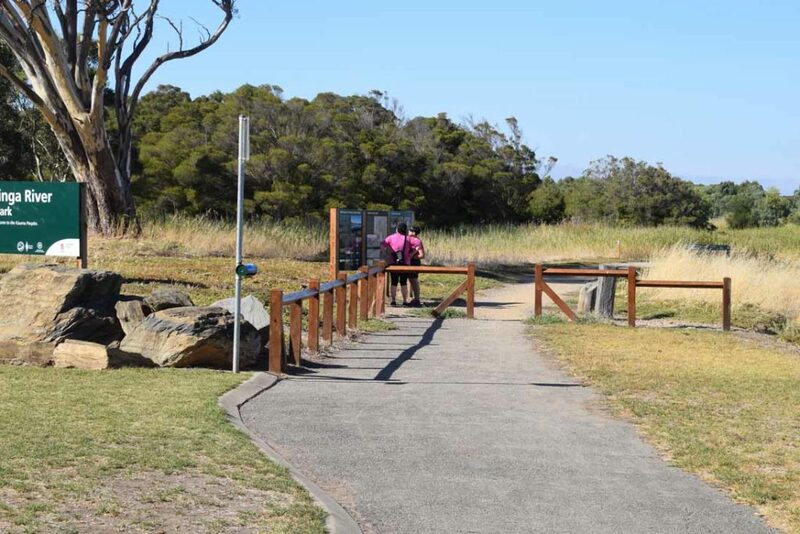 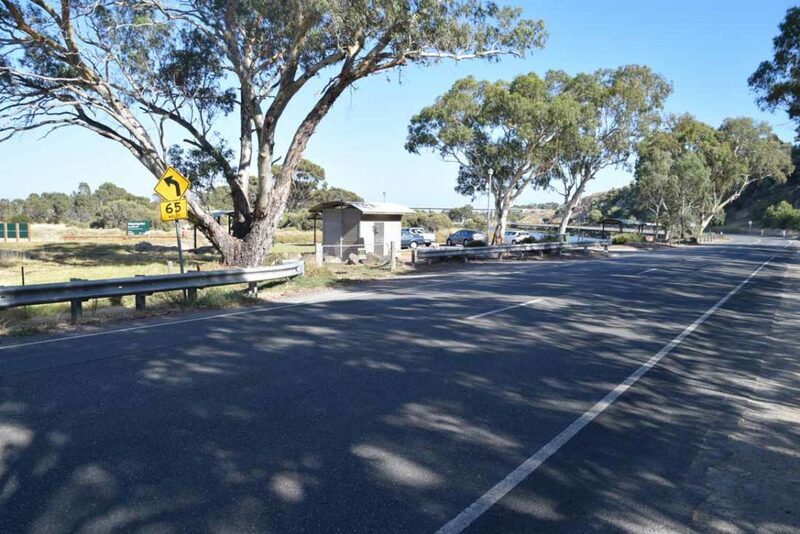 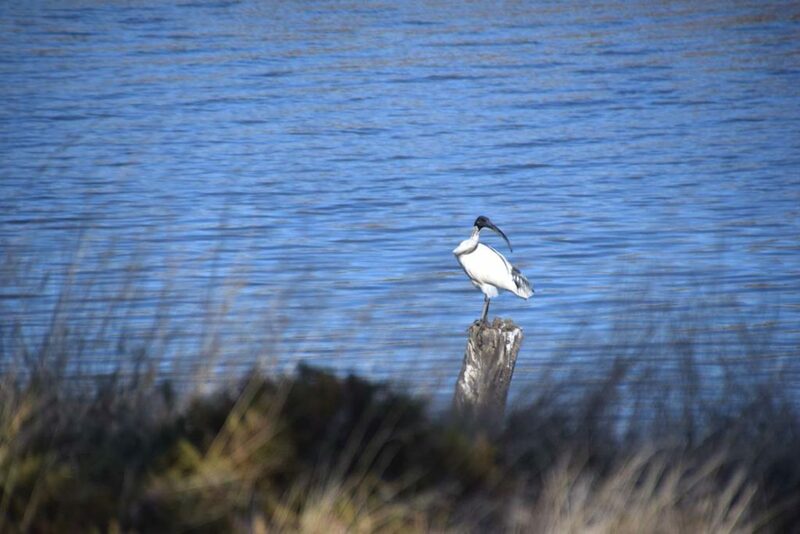 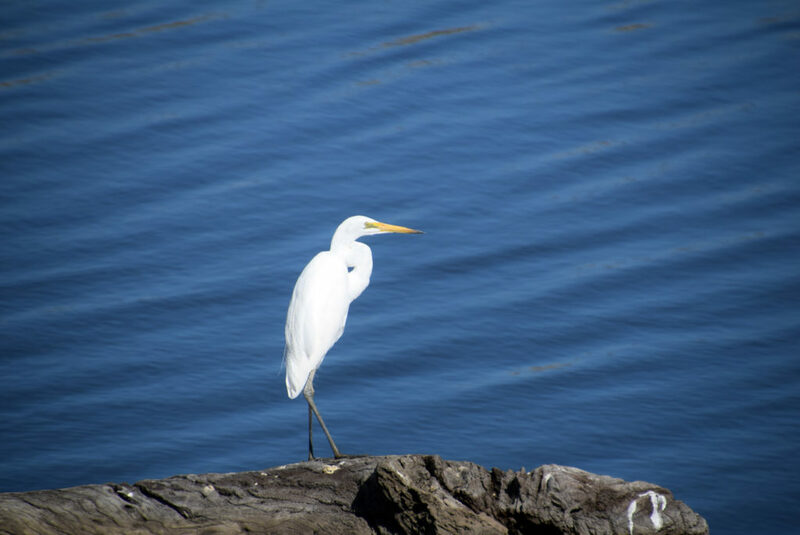 This walk is through a wetland adjacent to the Onkaparinga River and while is is close to houses it is far enough away to provide a natural feeling while you walk. 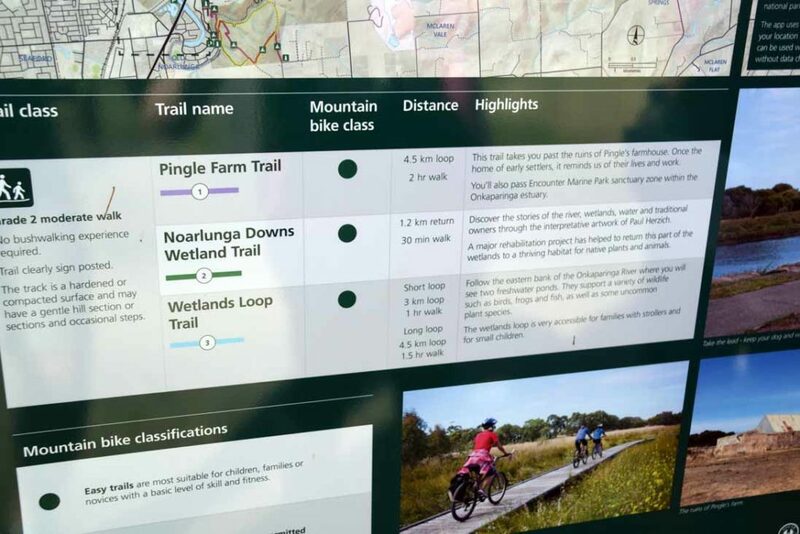 The ability to choose your own adventure on this walk by doing either a long walk(this write up), or a shorter version makes this one of the easier walks and while there is an increase in altitude on the trail its hard to notice so is suitable for hikers of all ages and fitness levels. 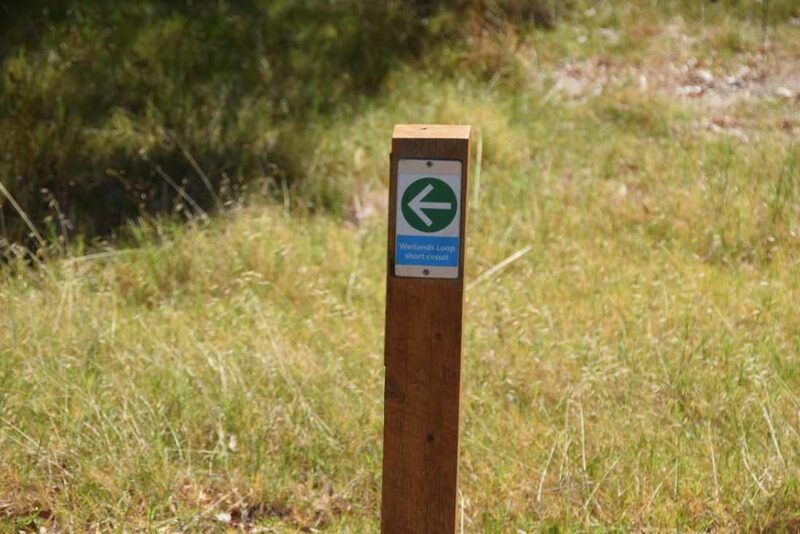 The trail itself is mainly on management road and is flat with a good surface. 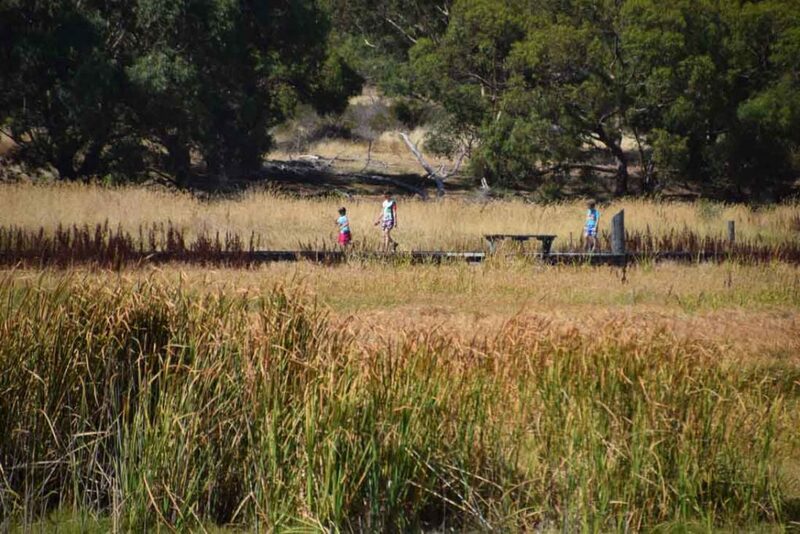 There are also sections of timber board walk as well as small sections of strategically placed mesh bridges. 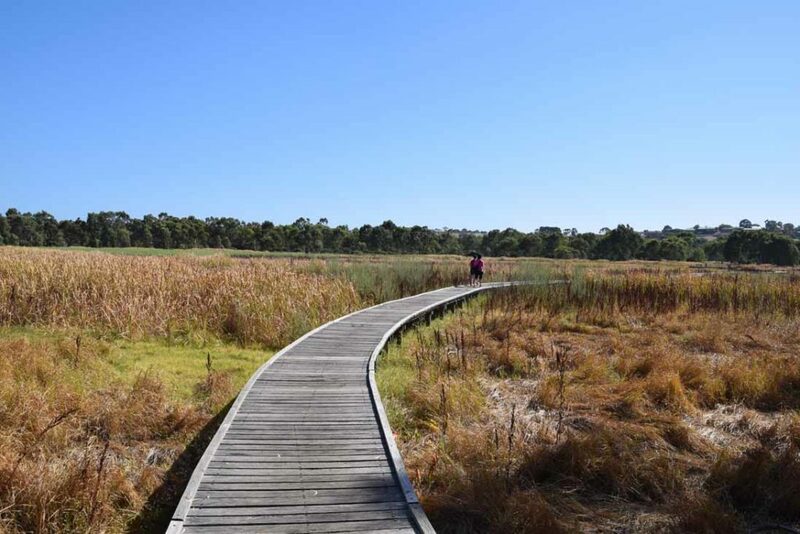 We undertook this walk in late summer so as a result the wetlands area of this walk didn’t contain any water. 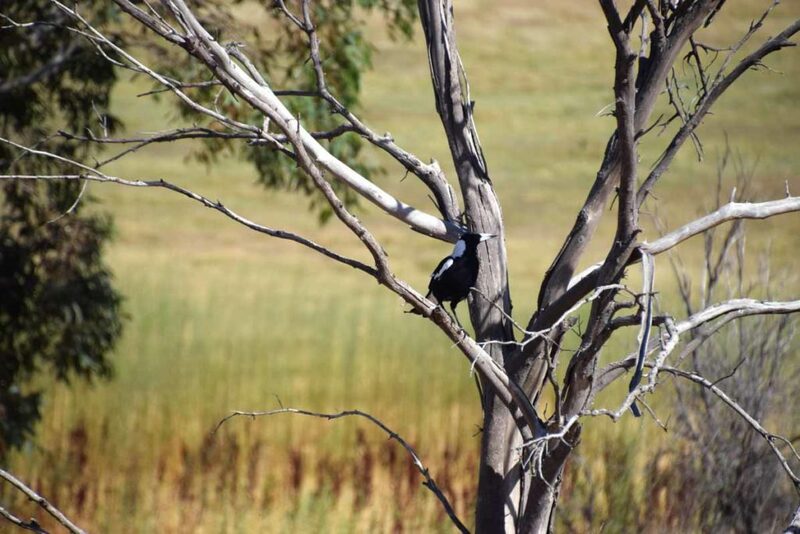 What birdlife was there was in the river system and even though the wetlands were dry there was still plenty to see. 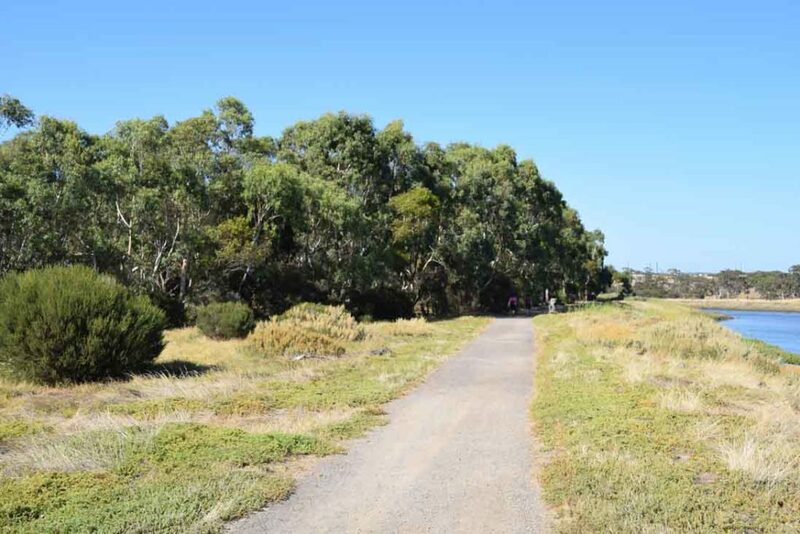 The best time of the year to undertake this walk would be after periods of extended rain which means sometime during mid to late winter-early spring. 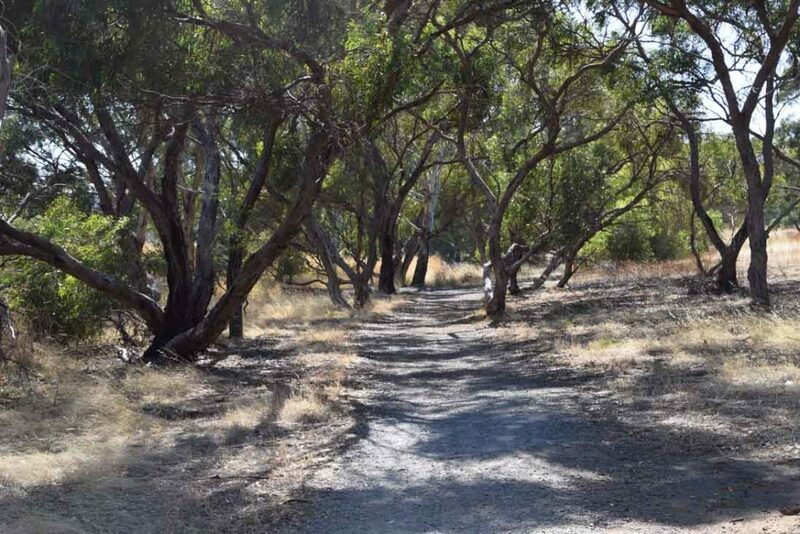 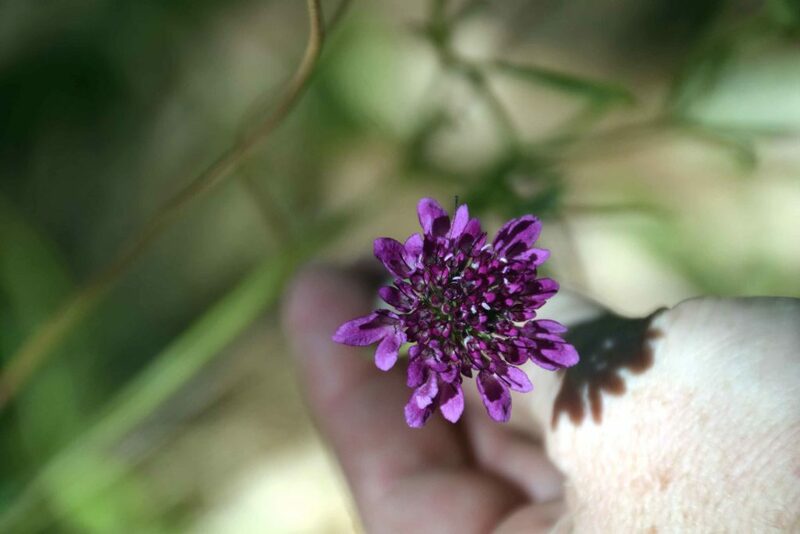 This is a great walk on the southern fringes of Adelaide for those with limited time. 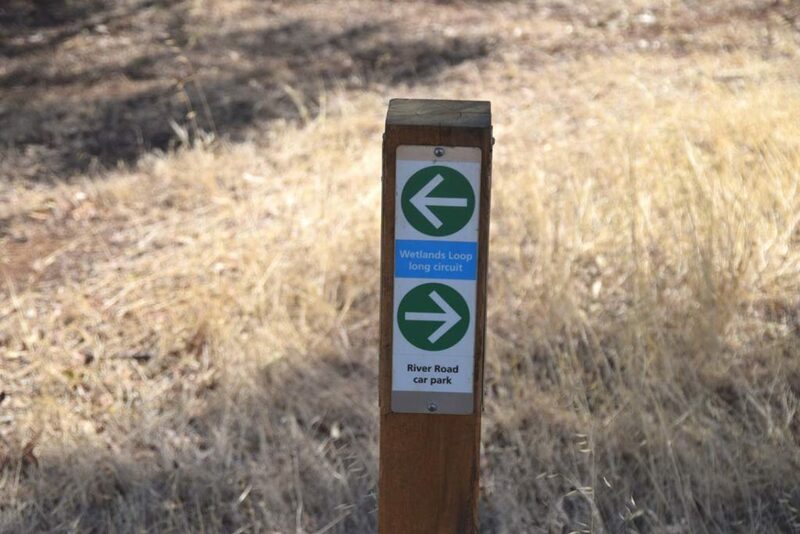 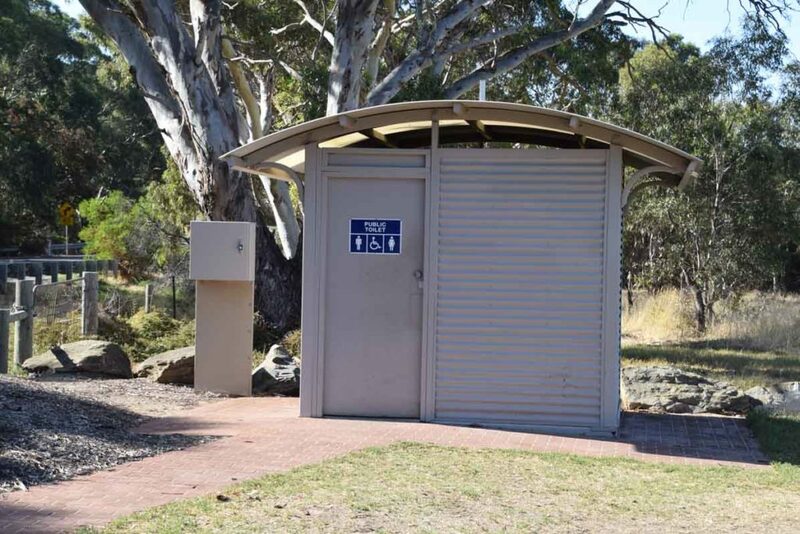 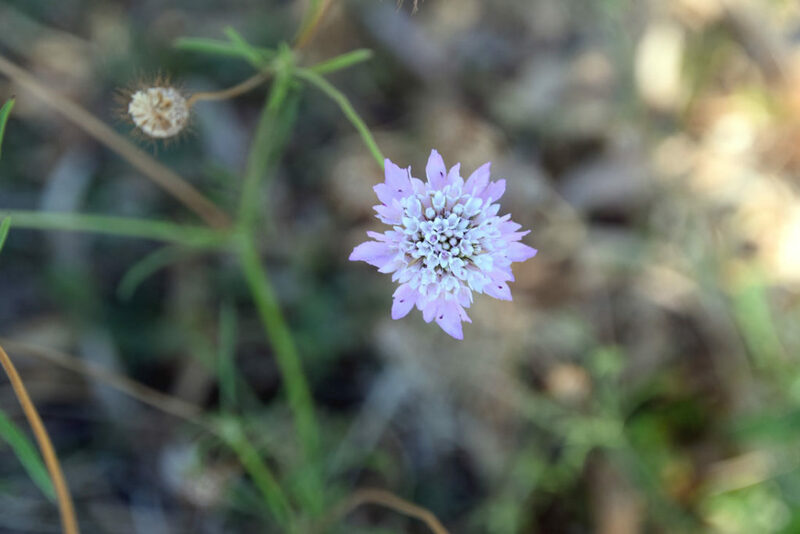 The trail head has good facilities that includes a toilet as well as picnic shelters and a BBQ so depending on the time of day you could make this a late morning or early afternoon walk and combine it with a picnic/BBQ lunch. 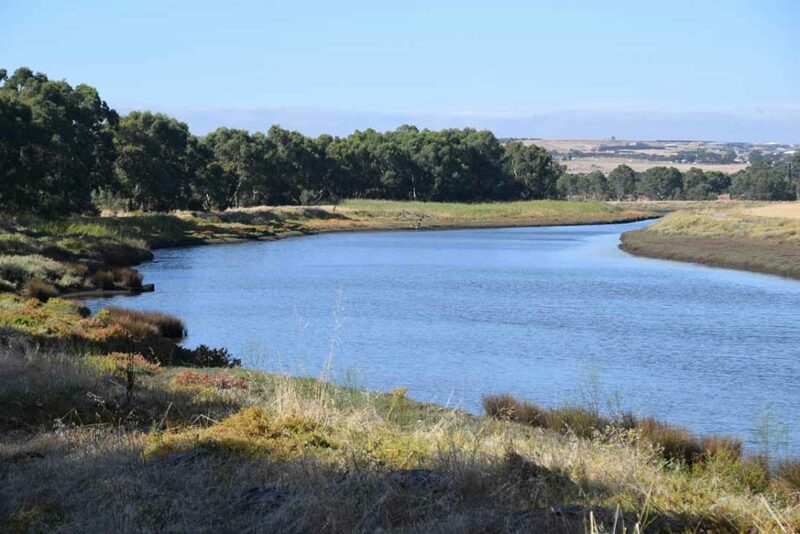 You need to bring your own water.